Dream About: Clinking Champagne flutes poolside while watching the sunset. What a view! 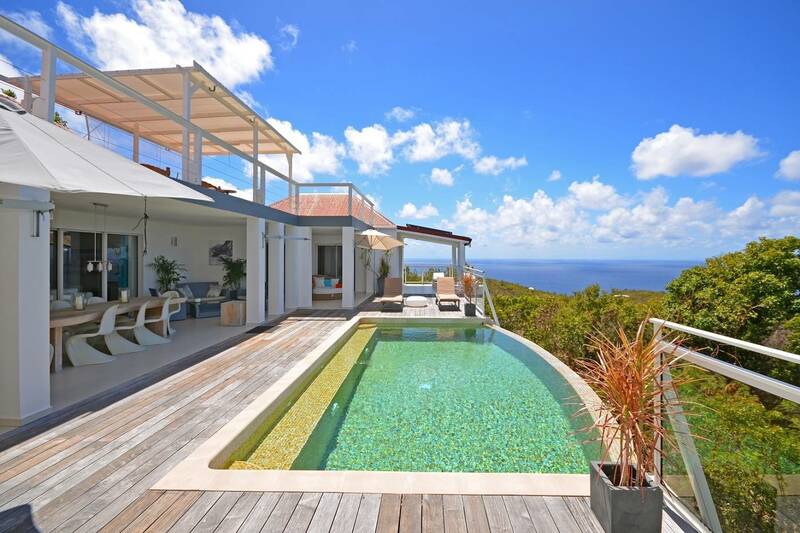 Step into Villa Azur and take it all in: an ocean panorama that includes the islands of Saba, Statia, St Kitts and Nevis - as well as the beautiful azure sea. 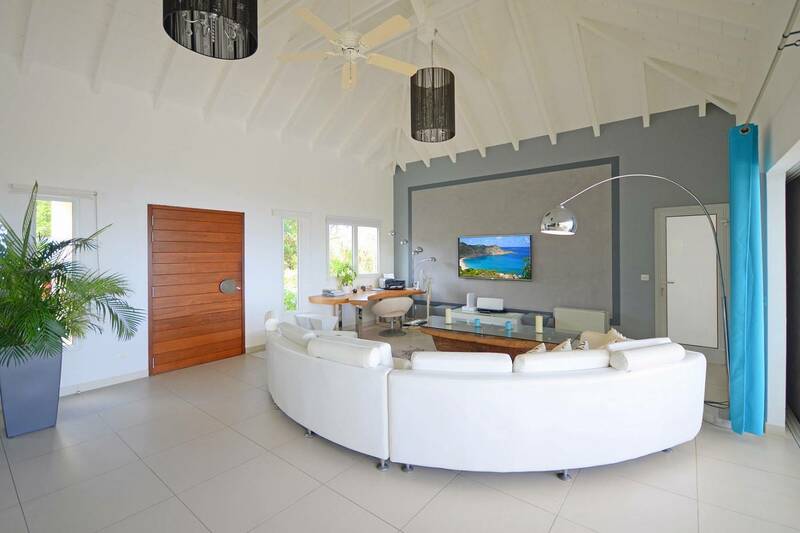 This nicely private 3 bedroom vacation home is perfect for couples or a family. 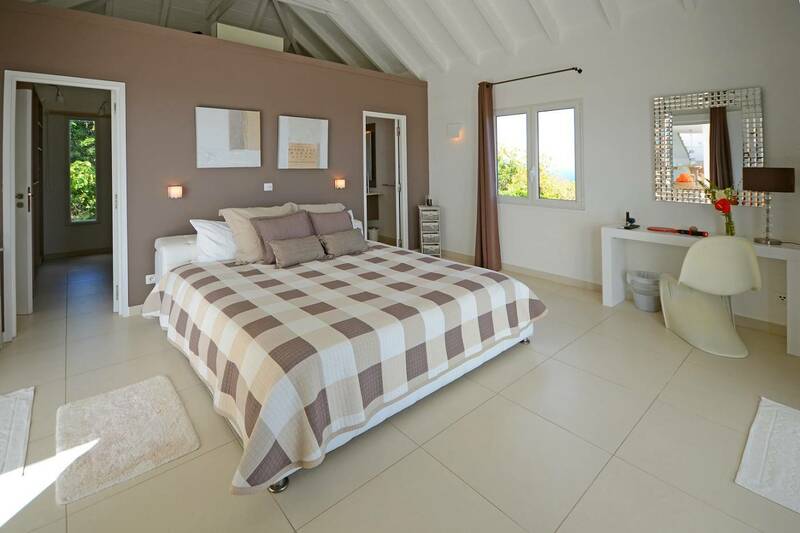 Its superb location in Lurin is just minutes from Gustavia with all of its shops and restaurants; and a short drive to gorgeous Gouverneur Beach. 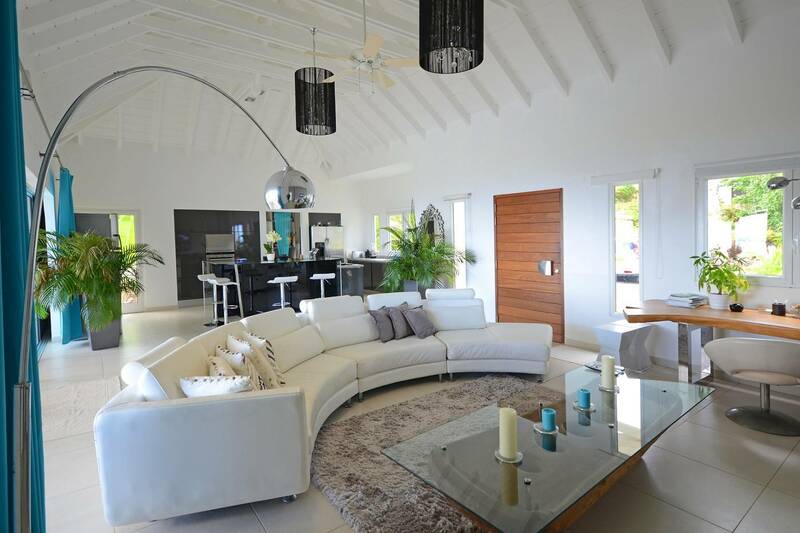 Villa Azur is contemporary in design boasting modern décor and brilliant white accents throughout. 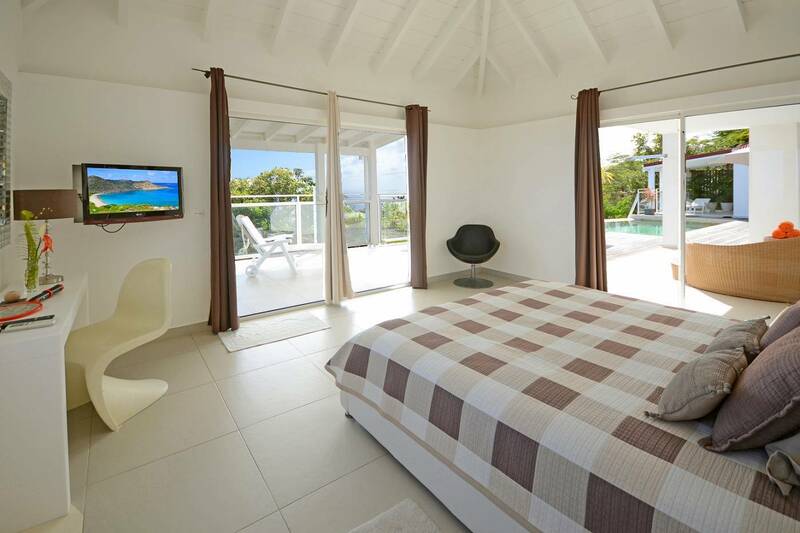 A chic white leather semi-circle sofa graces the living room and the bedrooms feature white leather French king beds. 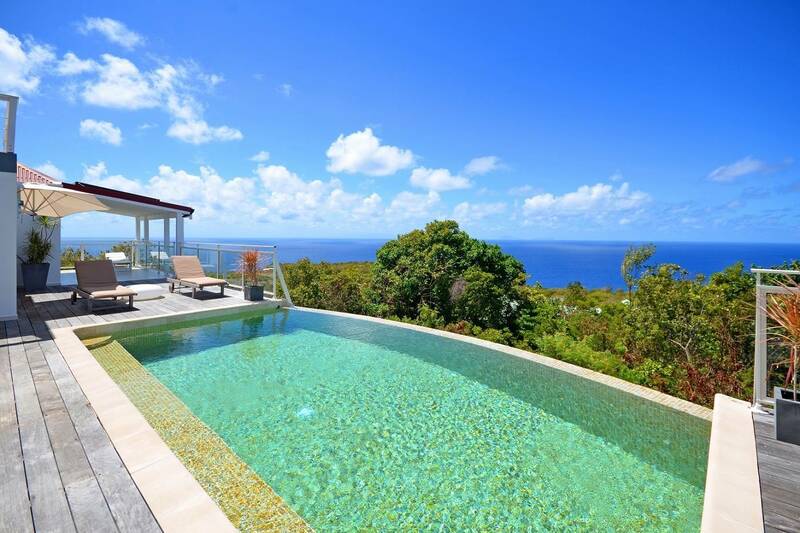 The beautiful infinity edge pool the focal point of the outdoor spaces that include a generously sized sundeck. 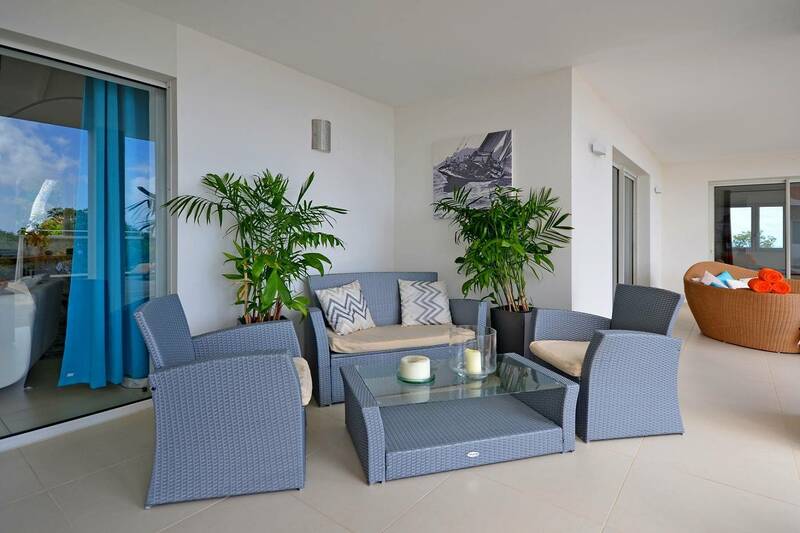 One of the adjacent terraces is covered and furnished for alfresco dining. 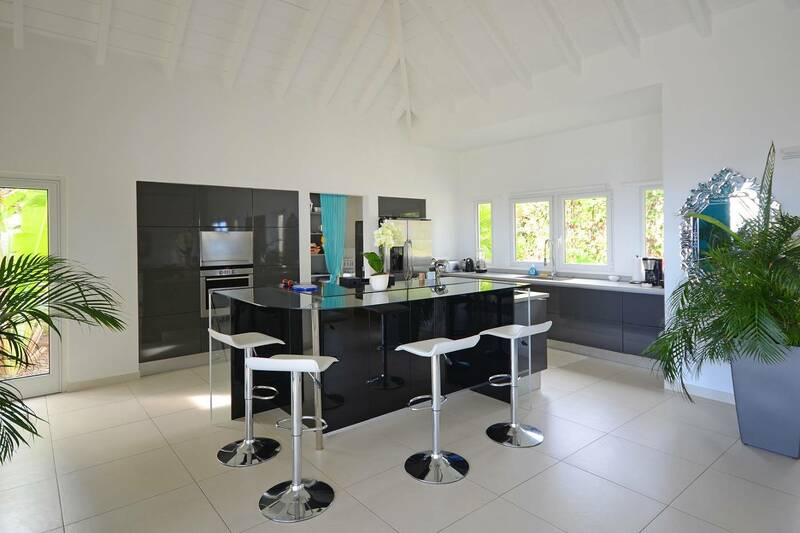 There is a sleek well-equipped kitchen and bar if guests choose to cook-in. 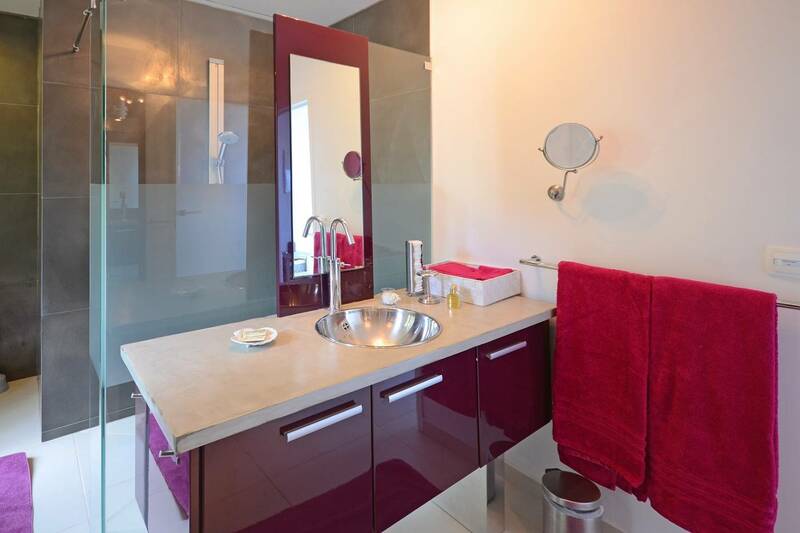 Each of the three bedrooms has an en suite bath (one with tub), access to a terrace adjoining the pool, and a TV. 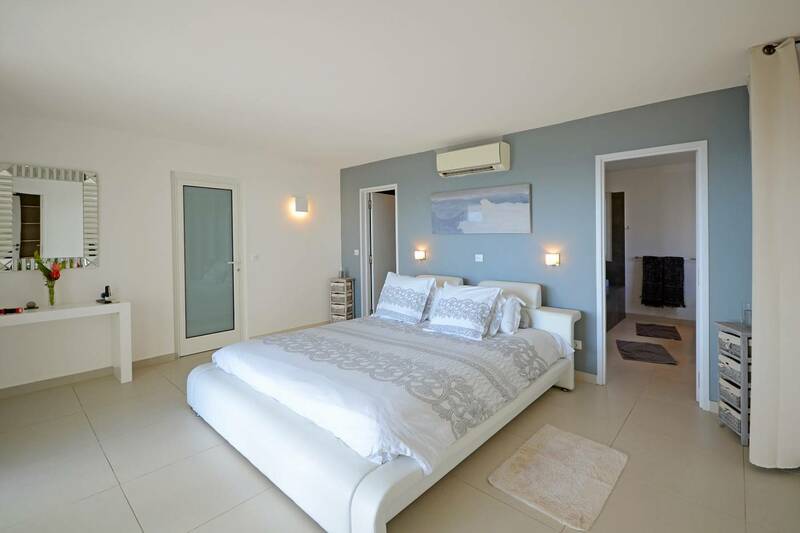 Two of the bedrooms can connect via a walk-in closet. 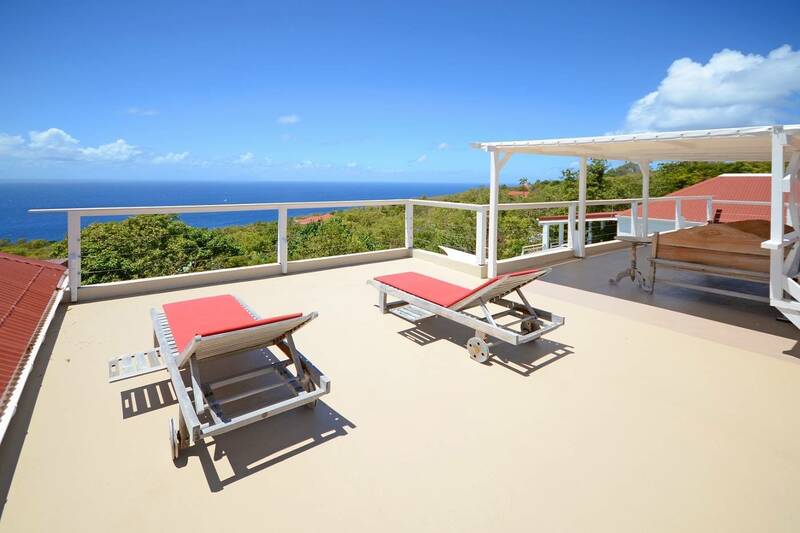 A T-shaped roof deck has chaise lounges for sun-seekers and features a pavilion shading a day bed, perfect for an afternoon nap, and a table large enough to hold a wine bottle in a bucket. Bring on the sunsets! They are breathtaking here. 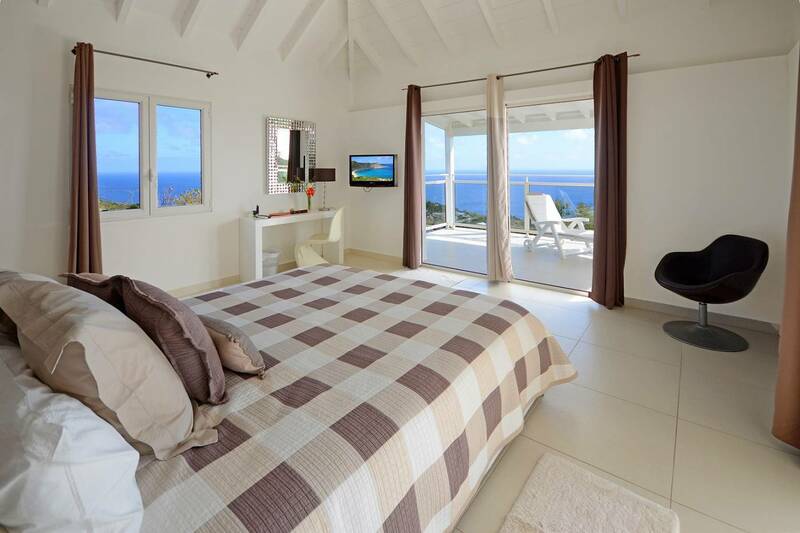 Being close to Gouverneur Beach and Gustavia's bistros and boutiques. 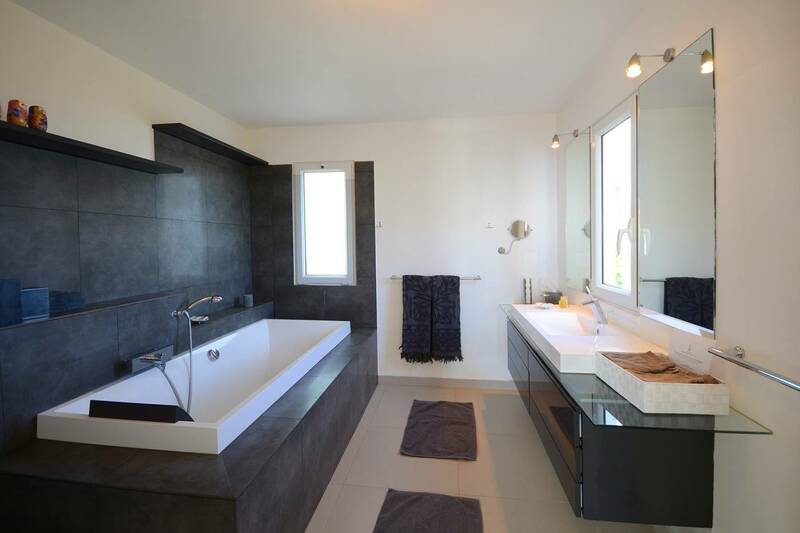 Two of the en suite bedrooms can connect. 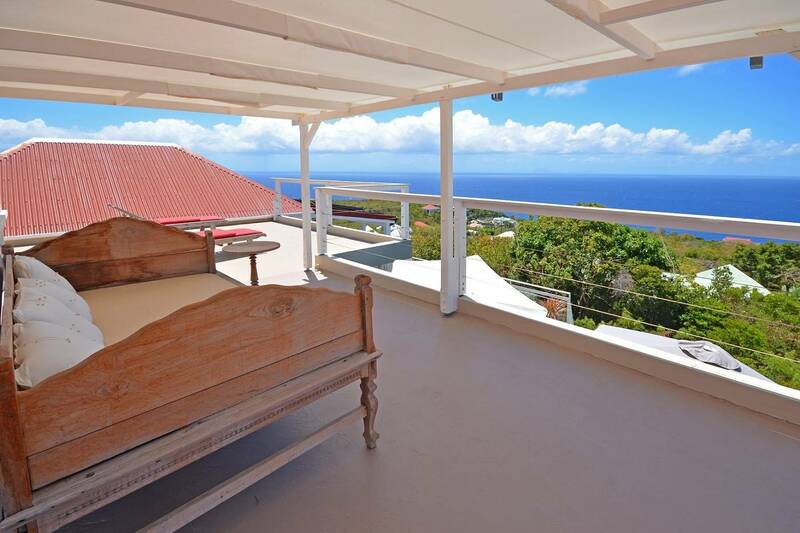 The panoramic view includes Saba, Statia, St. Kitts and Nevis. 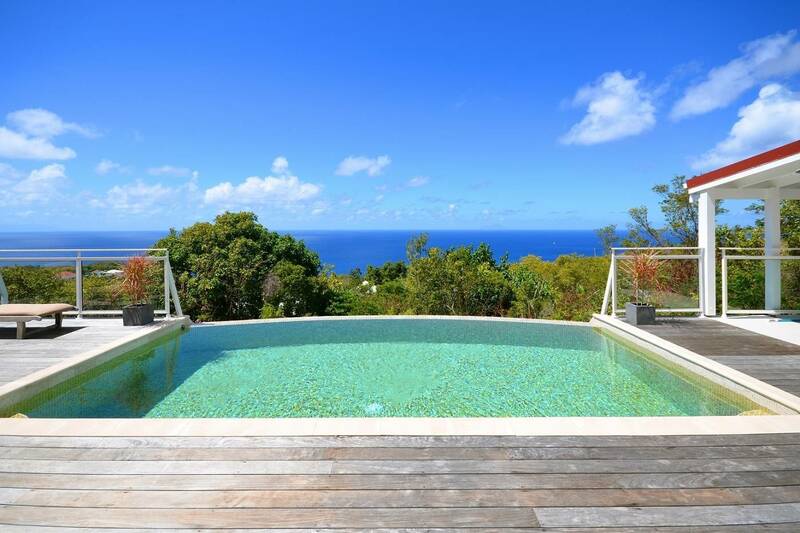 A brief note to thank you and all of your associates for your assistance during our recent visit to St. Barth's. I hate to use the f-word, but, my husband and I had a fabulous time. 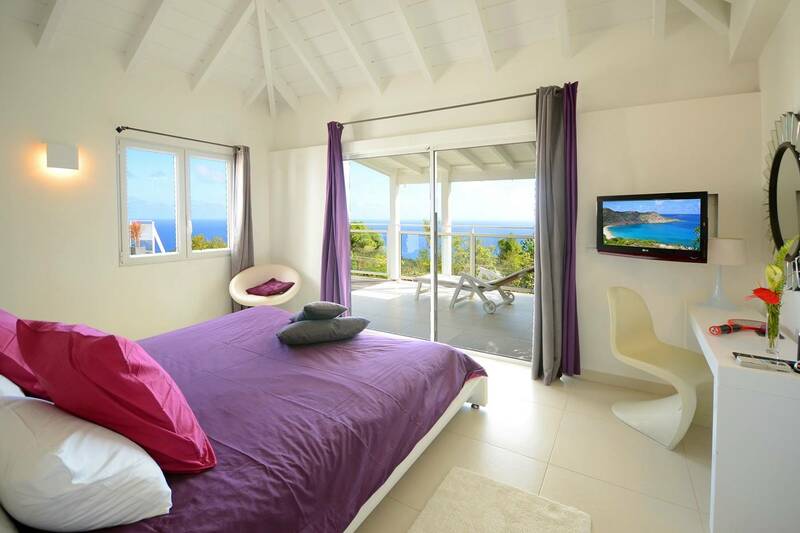 No photos could capture the serene beauty that the view of Villa Azur affords . 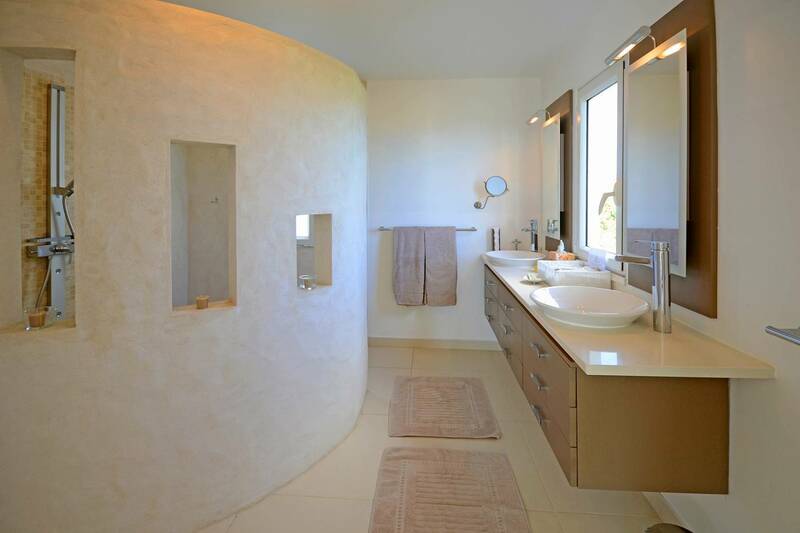 . . it provided the foundation for the most relaxing vacation that Tony and I have experienced. 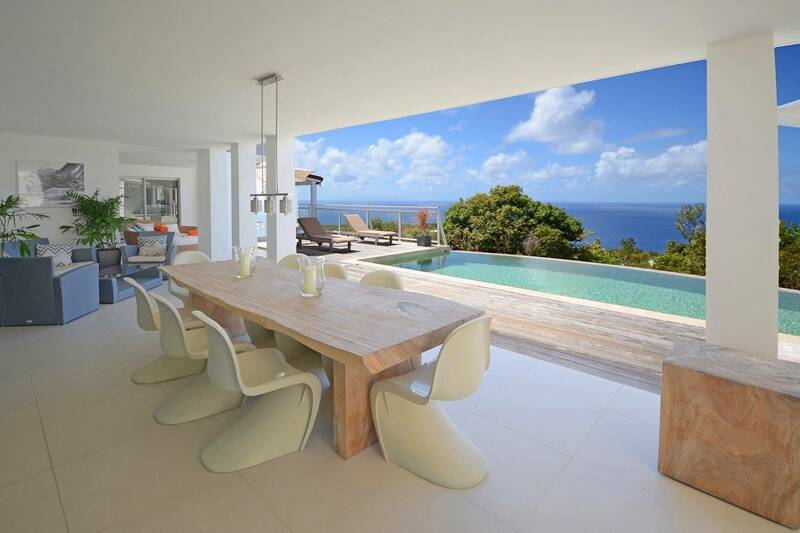 Your associates in St. Barth's could not have been more professional or helpful . . . it was very assuring to know that they were only a phone call away. Again, many thanks . . . I'm confident that you will be hearing from us in the future.